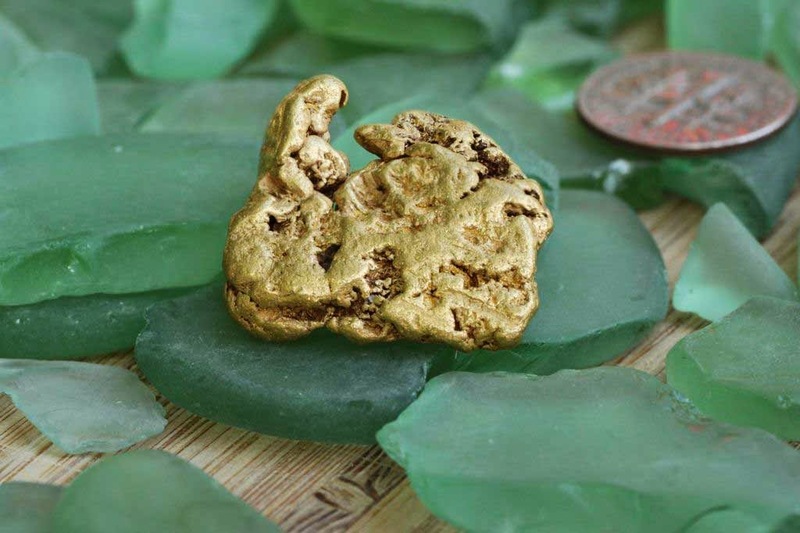 If you're still not certain how the intrinsic density and weight of gold can help you find placer gold nuggets, perhaps the additional information I'm about to provide will help solidify things for you. Read on for more. POINT 2: Nuggets always seek their lowest level. Although lighter pieces of placer gold (fines and flakes) can be transported even great distances at times, rarely is this true for nuggets themselves. However and wherever they enter a stream or wash, they tend to stay relatively close to their entry point. Despite their overall ignorance of the finer points of the science of geology, the old-time gold prospectors and miners understood this principle well. In fact, they were true "artists" in this regard. When they sampled, the old timers would move upstream panning or rocking at likely looking deposition points. Fine color or small flakes told them that the gold was there and the more savvy among them understood that the big stuff, if it existed at all, would be farther upstream closer to the source. On they went, sampling their way until they began to recover coarser and heavier gold. When those elusive nuggets started showing up the old timers knew they were onto the real thing. Two things would then happen: 1) they'd move up the sides of the stream or wash seeking the elluvial gold that would tell them they were onto the source or 2) they'd set themselves to the arduous task of damming up or diverting that section of stream in order to get at the larger nuggets and rich bedrock pockets and paystreaks they suspected lay deep under the existing rocks, boulders, and overburden. If you've studied Western mining history and the major gold rushes at any length, you'll know that this mining "two step" played out again and again in the goldfields. 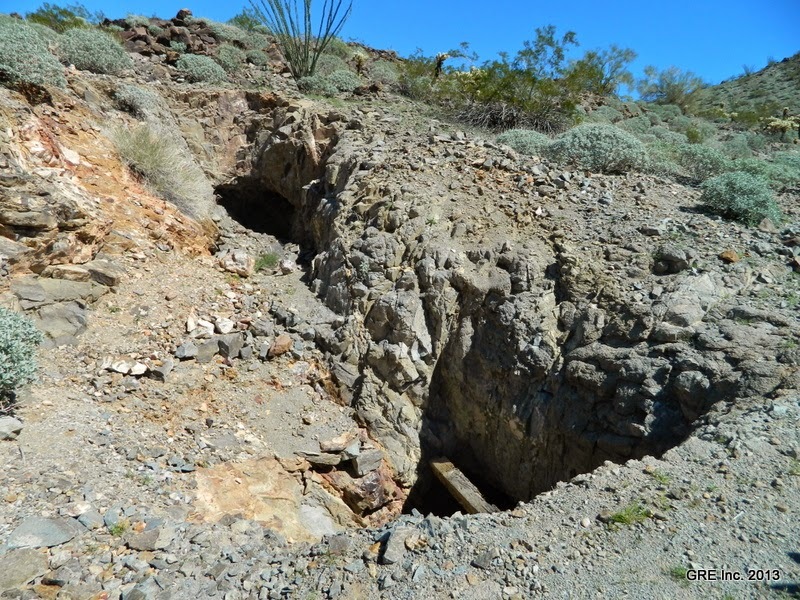 The first step led to the discovery of rich vein or reef material and the opening of hard rock mines and the second to pick and shovel or hydraulic work on a massive scale to get at the "goodies" just above or on bedrock itself. Even bedrock itself was pried apart so those deeply hidden nuggets could be recovered. 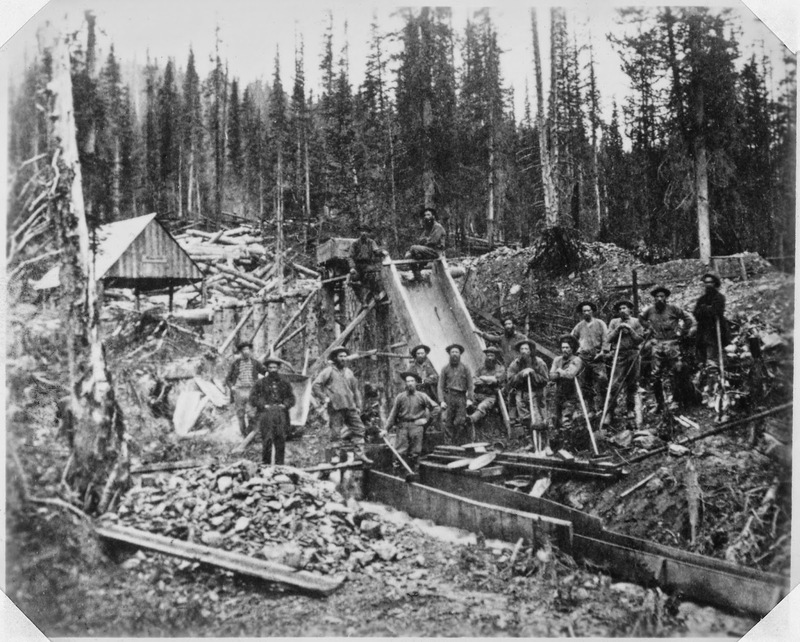 In California, for example, after the first wave of placer miners proclaimed the ground worked out, the Chinese entered the picture to pick that gold carcass clean. Very few stones were left unturned in this regard. Nuggets, being the heaviest and most dense form of placer gold, always seek their lowest level. Rarely are they close at hand or easily recovered, now or way back when. In my decades as a placer miner I've recovered some small nuggets in old tailings, in bench gravels, or in shallow gravels behind or under larger obstructions, but the biggest nuggets I've ever seen recovered were down deep and recovered via suction dredge. This fact alone should tell you something. Another thing to understand here is that nuggets will make a choice between sitting atop bedrock (or false bedrock) and hiding out at or near bedrock's lowest levels. What are those lowest levels? Cracks, crevices, and steeply cut potholes or drop offs. But I have to clarify things a bit here. I'm speaking mainly of ideal gold-bearing streams with constant water flow where stream hydraulics force gold deposition into regular and predictable patterns. In desert or dry placers this nice, neat formula becomes less reliable from a percentage standpoint due to intermittent water flows or flash flooding. that area and the hostile desert surrounding you may have been lush and green long ago. Those nuggets, buried deep, remained so as geological changes altered that landscape in drastic fashion. Let me provide you with a classic example of what I'm talking about. Thirty plus years ago I once worked a claim in the LaPaz District just east of the Colorado River separating California and Arizona. Back in the 1800s Captain Pauline Weaver and his small band of explorers found lots of gold at LaPaz, most of it in the form of very large nuggets. When I worked this same area scratching at the ground beneath me like the proverbial chicken, I soon realized that those numerous vertical shafts I was seeing in the washes around me were the vestiges of hard work done by the old timers. In a very dangerous and somewhat haphazard fashion they had dug straight down through the existing overburden that ranged from 20 to 35 feet thick or more. Why? To recover those nuggets sitting on bedrock far below. Remember, those nuggets (and especially the larger ones) will keep on going down and down until they find their final resting place. Yes, I know that many gold locations that nugget shooters like to hunt both here in the United States and in Australia have nuggets spread out over larger areas and often at shallow depth without the benefit of the stream deposition principles I've been elucidating. Those are, however, anomalies of a sort where the gold deposition factors are much different for the most part. Another way to view this is that in mining, no one size fits all. Want to find nuggets? Even large nuggets and lots of them? You'll have to do the work necessary to coax them out out of their hiding places. And one of the best hiding places for nuggets is where they've moved their deepest. There's just no easy around it. I found my first nuggets ever with a metal detector there at LaPaz. I was using an old Garrett Deep Seeker. I first worked LaPaz in 1982 Jim...chances are we were working that area at the same time! Best, J.R.